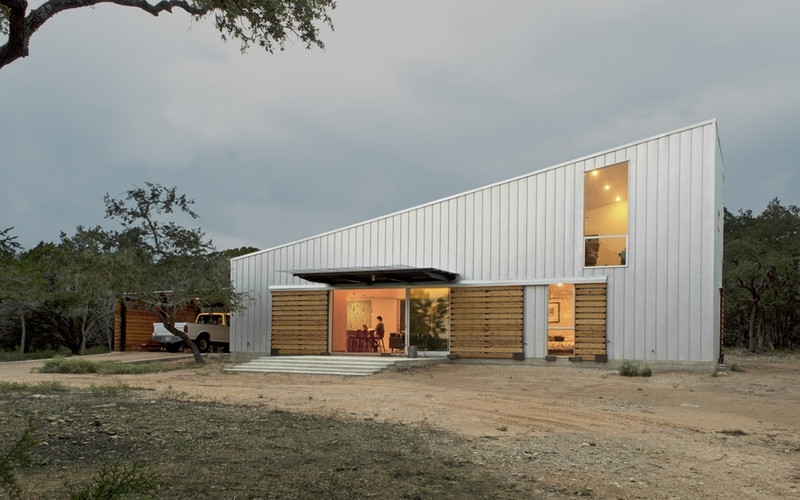 A 1,600 sq ft. Hill Country retreat for an urban professional who desired that the cabin be simple, durable, and sustainable. A simple wedge clad in agrarian camouflage unifies spaces consisting of a living area, kitchen, master bedroom and loft. Nestled in a clearing surrounded by oak and cedar, the cabin presents a rugged and durable exterior appearing as a simple farm building, while the interior employs warmer and more refined materials such as wood and stone. Through careful site orientation and the strategic framing of views, the cabin fosters a connection to the landscape in which its located.